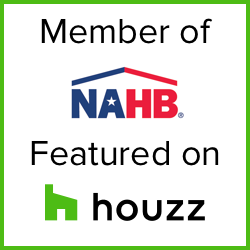 See our plans below to view how a beautifully designed space makes a house a home. The answer is yes, yes you do. A laundry room doesn’t have to be dungeon. It can be a space that is just as inviting as any other area of the house. If you’re looking for a way to make your laundry room a sight for chore-determined eyes, keep ‘em peeled because you’re going to want to see these laundry room-inspired pieces. This cheerful laundry room idea does well to take advantage of the space atop the washing machines by the having a wide, sturdy shelf to hold laundry-related items. The “instructions” on the wall adds a nice touch of humor, which we’re sure your guests will appreciate. Check out some examples here! 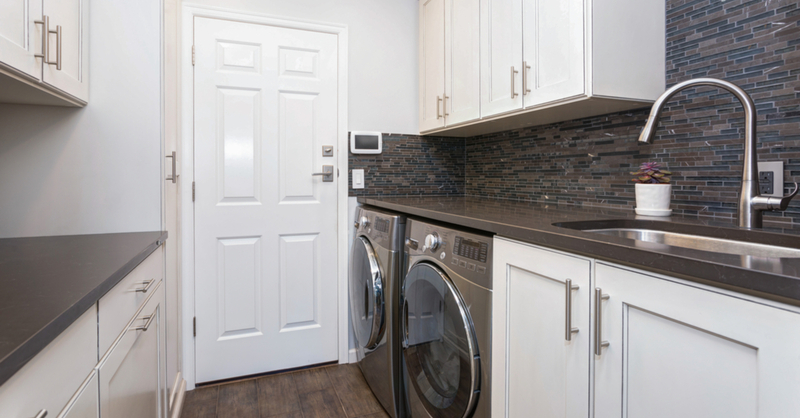 Is your washer & dryer located in a little pocket along a wall in your house? If that’s the case, this may be a great laundry room idea you can try! While some don’t necessarily mind exposing their washer & dryer, most are fond of being able to hide them when not in use. Concealing your washer/ dryer combination behind a beautifully-crafted sliding door is the perfect way to hide your laundry area in style! This idea holds true to the concept at a laundry room isn’t just for cleaning clothes–it’s for cleaning pets too! This idea is pretty cool because all you need to do to create your pet cleaning space is to place your washer & dryer on top of each other! You can even have a little cubby for your pet, ya know because cubbies are cool. We’re sure your pet will have no complaints! Hopefully, these three unique laundry room inspiration ideas will encourage you to think a little more about how to make this space more inviting. If you don’t already have a laundry room, there are a few things that you should consider before getting started. The very first thing you should do is consider exactly where you want your laundry room to be. When thinking of this, convenience should be at top of mind. Any area where dirty clothes would accumulate or where clean clothes are supposed to is an ideal place for a laundry room. Good examples of this would be places like the bathroom or closet. After you’ve decided where you’re going to create your laundry room, it is a really good idea to waterproof the flooring because flooding is very possible. Consider adding plastic sheeting to the subfloor, especially if your laundry room is on the second floor. One last thing to consider is the noise level of your washer and dryer. If your laundry room is on the second floor, get some vibration pads to ease the noise level. If these 3 laundry room ideas don’t quite tickle your fancy, don’t fret. There are many ideas out there that could inspire the perfect laundry room. Visit our photo gallery to see some of our custom designs! Buy used or build new? This is one question that almost all prospective homeowners have to deal with as they plan for the home of their dreams. Kitchen cabinetry will continue into 2019 with a minimalist trend. Learn more about the kitchen trends of 2019 here! The trend towards more livable, open spaced and uplifting basements is shifting how they are viewed in the modern home. Check out the advantages to a high ceiling basement here.